All corporate events must possess something special that makes them memorable for the guests. It is a way to measure the event’s success and ensure its continuity. From the theme to the food and location, everything must be in the best shape possible. However, there’s a little extra you can do as an organizer. Moreover, more often than not it involves getting the right type of entertainment for your guests. While some may settle for getting a DJ, a true professional should aim at offering a unique experience. Because we understand how hard it is to find that perfect mix of fun and energy, we have got a recommendation for you: Dana Daniels. Read on to find out why and how you can hire him. Dana Daniels is one of the most well-known comedian magicians in the U.S. His shows are so much more than your typical magic show, thanks to his partner. 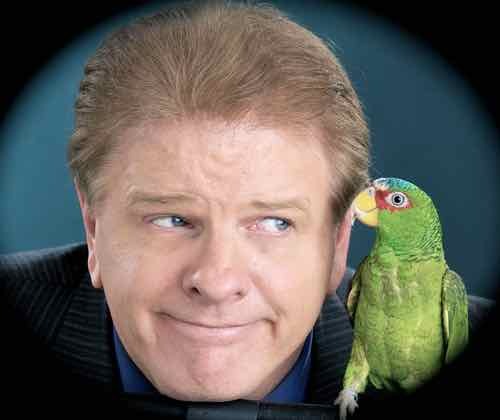 While some entertainers partner with another person, Dana’s on-stage secret is a psychic parrot – Luigi. Dana was born and raised in Long Beach, California with a talent the world does not get to see very often. He has been entertaining people at corporate events for a long time now, and his career is impressive. Dana is the first entertainer to ever receive the Comedy Magician of the year award from the Magic Castle in Hollywood, California. Hiring him gets your event comedy, magic, and motivation – that is a one of a kind mix. You can tell even without seeing them that only two very talented and brave beings would be able to pull off such a show. Luigi is a male parrot with psychic abilities. Together, they offer your guests a unique experience. Each show has something special, but it usually involves jaw-dropping magic. For example, Dana would turn one of your guests $100 bill intro bird food, Luigi would eat it and then lay an egg with the bill inside. No male parrot can lay an egg, that is for sure! You have seen the clip above how much fun the audience was having, didn’t you? While laughter and giggles may be something you are looking, you need professionalism as well. Awarded the Jimmy Durante Comedy Award. Additionally, he is a regular on various TV shows link Stand up Live, America’s Got Talent, Evening at the Improv, CBS Morning Show, and NBC’s Comedy Club. Hiring him is easier than you thought. Go ahead and visit Dana Daniel’s page on The Grable Group if you would like to learn even more about him and Luigi. Then just get in touch with us online or call us straight away at 615-283-0039 to book him for your corporate event. The Grable Group is a professional entertainment company and booking agency managing a select pool of speakers. With years of experience, working with us gets you top-notch services.